What are the benefits of registering as a member with BE International Marketing? Firstly, know that BE International is a licensed direct sales company in Malaysia. 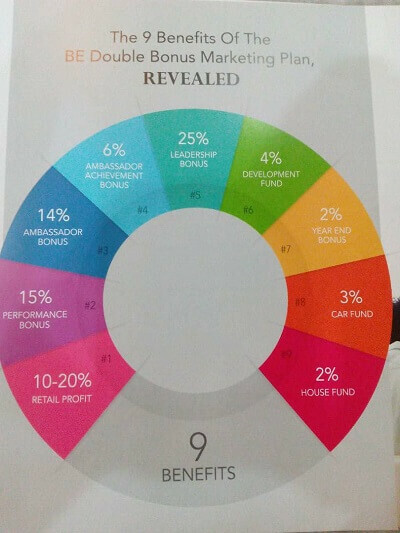 The company is also a member of the Direct Selling Association of Malaysia (DSAM). Being a member of DSAM means the company has to comply to strict Code of Conduct. You can check out the list of all DSAM members here. In the following article, I will list out 4 benefits of registering as a member with BE International. One of BE International top selling product is the Aulora Pants with Kodenshi. Due to its popularity, many people have started to sell the pants on other online shopping platform such as Lazada, Shopee, Rakuten, Mudah, Carousell etc. If you are buying the pants from such platforms, you may unknowingly buying a fake Aulora Pants. What can you do if you’ve bought a fake product? The only thing you can do is try to get a refund from the seller which will be very tedious and time consuming. By buying direct from BE, you are guaranteed that the product is a genuine pants from Japan. The second benefits of becoming a member is the official tax invoice provided. The tax invoice will be under your name with your personal details. The tax invoice also allows you for exchange in case there is manufacturing defect on the product. 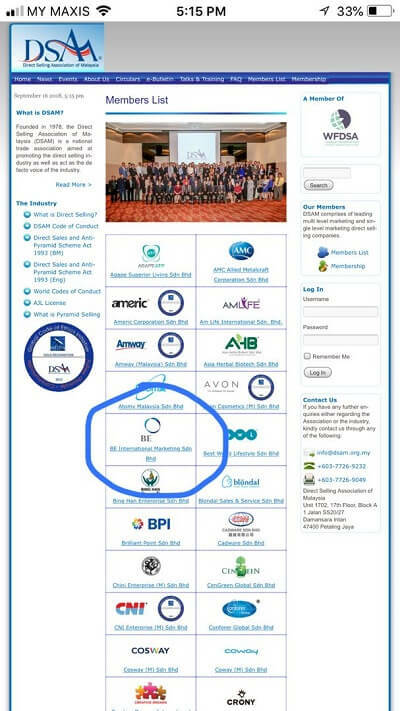 Do you know there is a 5% rebate off the product SV points on your own purchase for every product line offered by BE International? For example, if you were to purchase 1 pair of Aulora Pants, you will get the rebate added into your account e-wallet. The amount in your e-wallet is equivalent to cash meaning you can use it to offset your purchase in the following month. Apart from the wellness pants, other top selling product from BE are Maqnifiq collagen drink, Befil heart health formulation, Zencoso food enzyme, Shiruto vitamins, Slendezmeal etc. Lastly, there is a business opportunity offered to all registered member. If you have the desire to start your own home based business, you can start promoting the products offered by the company. There you have it, the 4 benefits of becoming a member with BE International. The member registration is only RM60 in Malaysia and SGD20 in Singapore. The registration process can be done online. If you are interested to register as a member, click the link below to contact me through WhatsApp and I will be able to assist you.